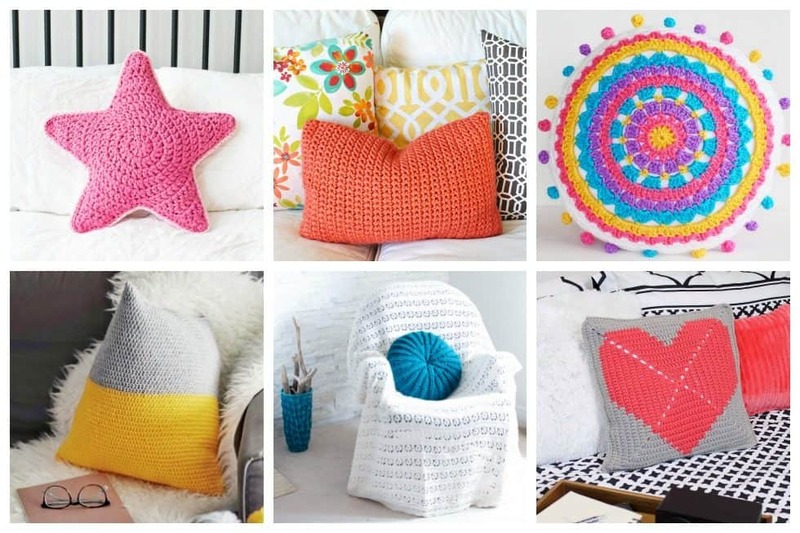 Not only are crochet pillows ideal for adding a splash of color and style to your decor, they’re also a fun to make. Impress your guest with these versatile and stylish accessories, perfect for your guest room or anywhere else in your home. 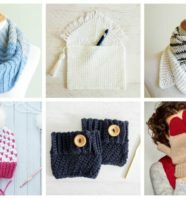 If you’re itching to try out a new crochet project, we’ve got you covered. 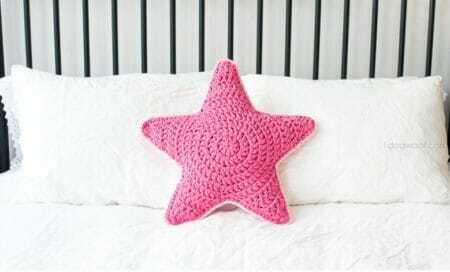 We’ve found these amazing 20 crochet pillow patterns that anyone can make. 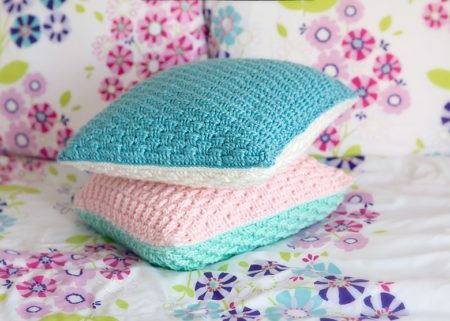 Grab a hook and your favorite yarn and get ready to crochet an adorable pillow for your home today. 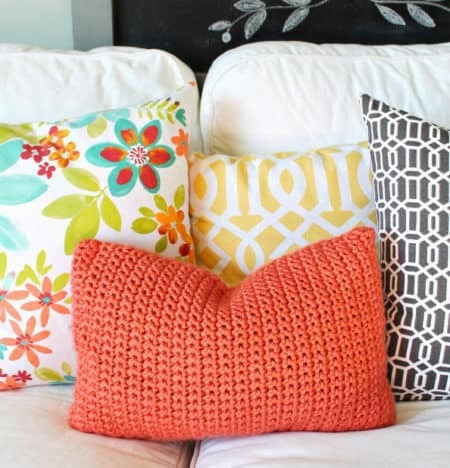 Check out this amazing modern, fun and colorful crochet pillow pattern. If eye-popping color is not your thing, it looks equally lovely in just one color or in pretty pastel shades. If you are relatively new to crochet, this is a great project for beginners. If you know how to start with a chain, single crochet, and turn, you are in business! 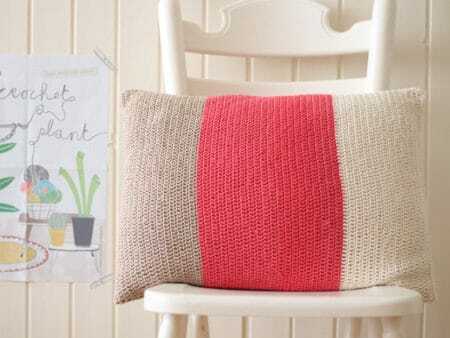 Stitch this fun-to-make pillow from leftover yarns and a background color of your choice. It’s old-fashioned yet thoroughly modern. Everyone says that changing up your throw pillows is a great way to update your living room look and it’s easy to do once you learn how to make these easy sand dollar pillow covers. 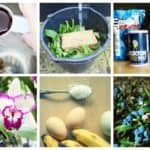 This is a really fun and easy project to make. 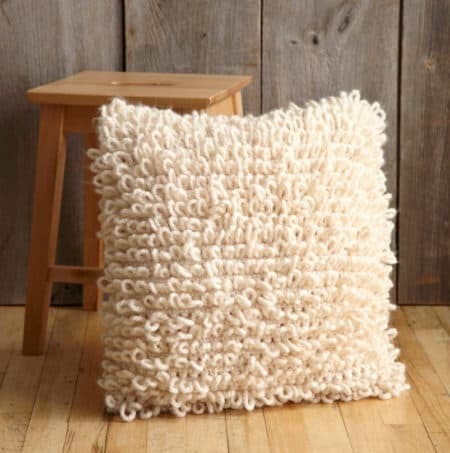 You’ll love this totally huggable pillow and really love how cool and solid it feels when you hug it. 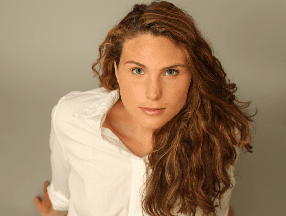 Do you know someone who is headed off to college or moving away for a new adventure? 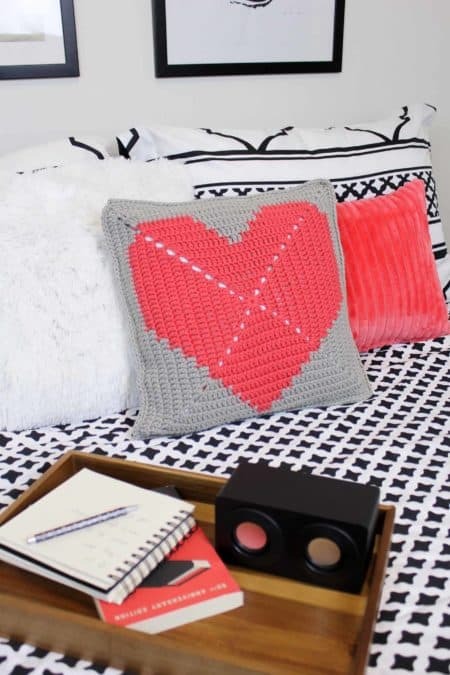 This free crochet pillow pattern is the perfect way to give them a tangible reminder of your love. 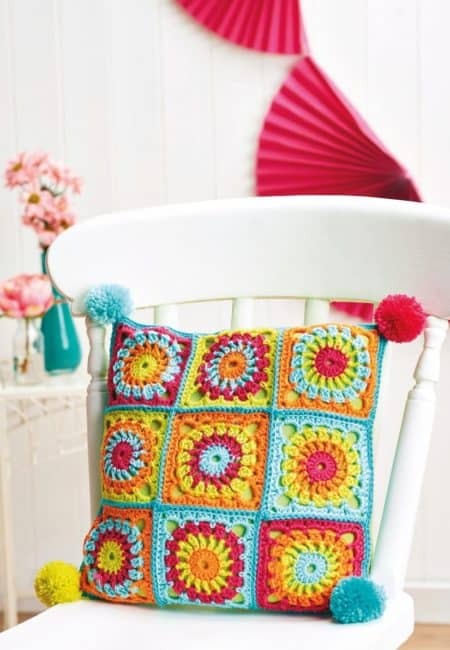 This granny square design is very versatile. 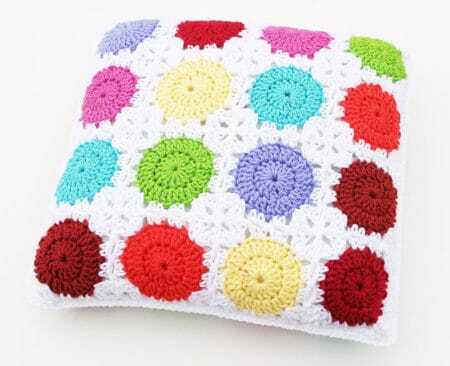 It is crocheted using the traditional granny square pattern, but the color combinations are endless. 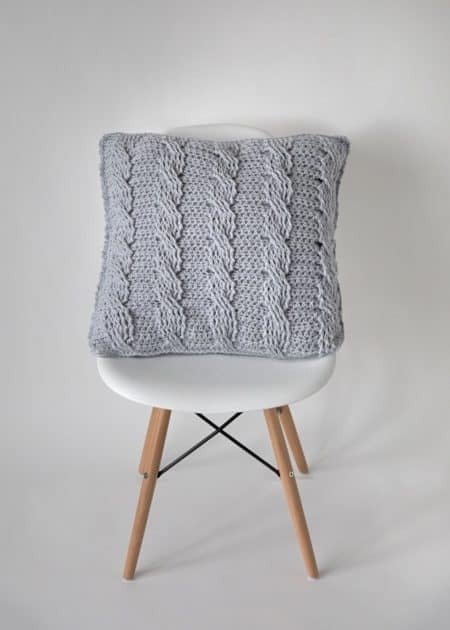 This reversible pillow is easy, and quick to make and so pretty. All you need to know how to do is a front and back post double crochet. Granny gets a fresh, new image thanks to the vibrant shades of this natural wool yarn. Choose a background to match your decor. Cables are not just for knitting. You’ll love how awesome these chunky cables look when used in home decor. You can never have too many decorative pillows. 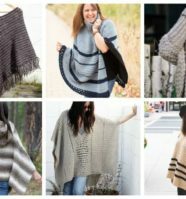 With this pattern, you will not just make a new accessory, but you will also practice Camel stitch and get acquainted with basics of overlay crochet. 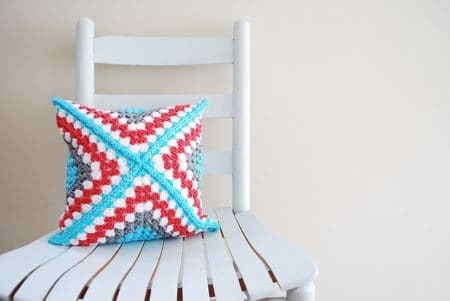 Here’s a fun geometric crochet pillow pattern that’s perfect for brightening up a drab area of your house. Learn how to crochet triangles and diamonds – this could be a nice project for you to practice your new skills. 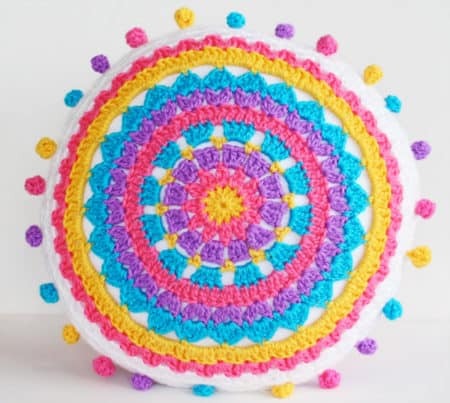 Here’s a fun and unique looking crochet pillow pattern, that’s the perfect accessory for you home. 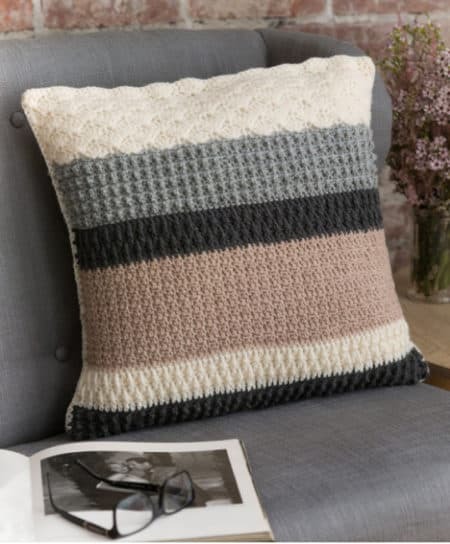 Change textures as you change colors on this sophisticated crocheted pillow. We used neutral shades here, but choose shades to suit your décor. 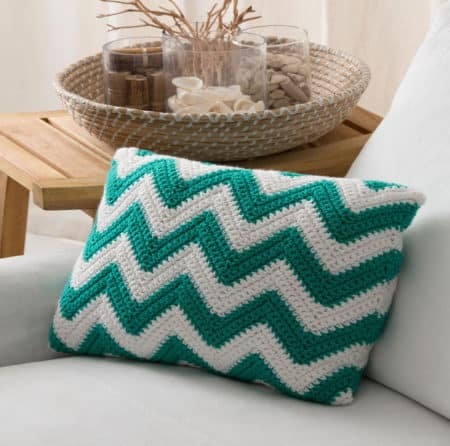 The classic chevron design has a modern flair when crocheted in a two-color pattern. 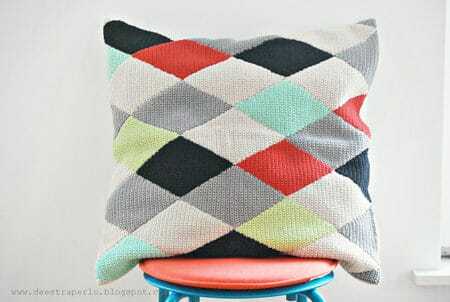 It’s the perfect pillow for anywhere you’d like to add a pop of color. 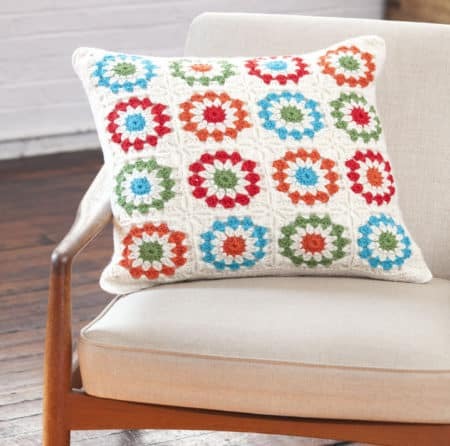 This variation on the ever-popular granny square features a circular center motif. Made up in bright colors, this cushion cover has a fiesta feel and would look equally at home in a campervan or caravan, or in your living room. 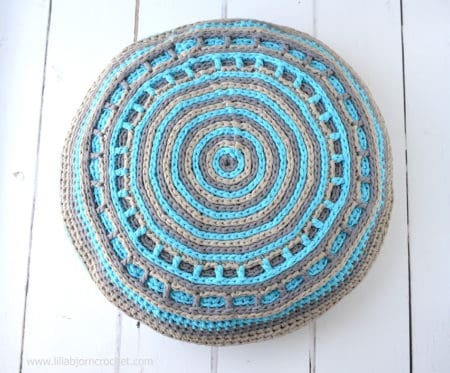 Customize this extreme crocheted cushion in your favorite colors. 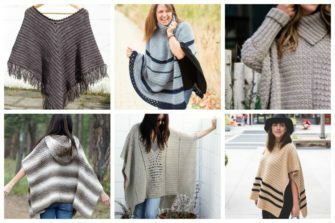 It’s incredibly soft and luxurious, and it has such a unique look! Color blocking is bang on trend right now, and you see it everywhere – from catwalks to cushions! 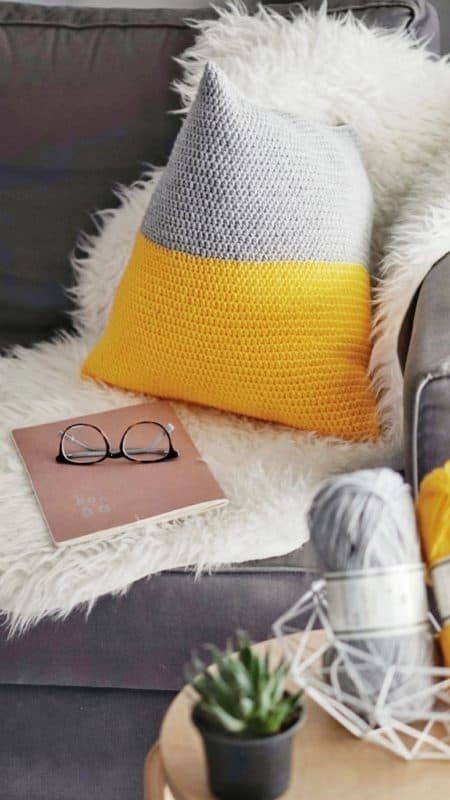 In this tutorial, you’ll learn how to create a bold statement piece for your own interior, by crocheting a cushion cover. 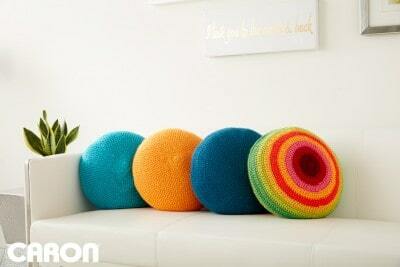 Colorful pillows are a great addition to any room – and an easy way to switch up your colors, easily! 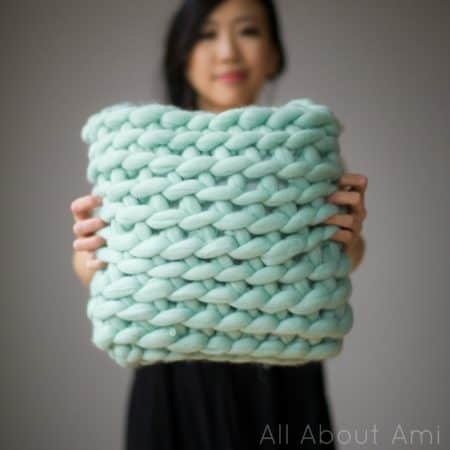 We’ve also created an amazing crochet pillow and pouf challenge that you may be interested in. It comes with patterns and amazing step-by-step video tutorials. 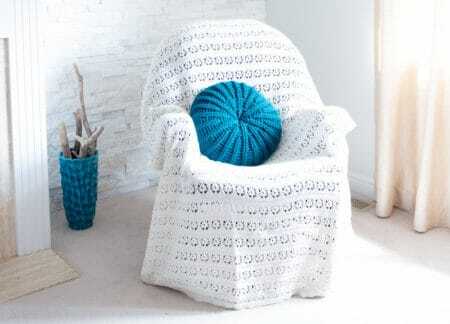 Check out our crochet challenge here.